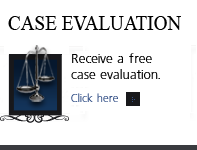 The Mistaken Or Lying Eyewitness Identification Case presents as one of the one of the most successful of all of the cases to defend in Colorado criminal court rooms. On the other hand – mistaken eyewitness identification cases overturned most recently by DNA evidence prove that the kind of procedures used by law enforcement to investigate and prosecute these cases in court lead to highly suggestive in and out of court identifications and the most grave of all injustices, the wrongful conviction of the innocent. Using experts to testify about identification and memory, proper jury instructions warning the jury of the factors leading to “honest-but-mistaken” identifications, and aggressive and informed criminal defense lawyers properly using jury selection, opening statements, cross-examination and closing argument, may make the future of identification defenses result in fewer and fewer convictions of the innocent. Of course identification of the suspect is absolutely required in every criminal prosecution. Identification cases arise most often where an eyewitness is required to identify a stranger. These cases turn on the strength of the “ID” and do not often turn on bias or prejudice.. In these cases the witness is most likely to be “honestly” mistaken. If the target of the DA’s case is someone known to the witness – then the identification could be based on bias – but if the same person is completely unknown to the witness – the witness could be honestly mistaken. The defense of false or mistaken identification is strongest where the case is based solely upon the ID of the witness or witnesses. In these cases there is no other forensic evidence, no confessions or other damaging statements by the defendant, no damaging testimony by co-defendants – participants and no other “similar transaction” evidence pointing to identification by a common pattern or scheme. While a good alibi defense is helpful in an identification case challenge, identification testimony – if it is strong such as from multiple eyewitnesses – can easily overcome the strongest of alibis. This challenge takes the form of a motion filed prior to trial challenging the identification procedure used in the case and attempting to prevent the admission at trial of eyewitness testimony on the legal grounds that the ID was the result of suggestive techniques used by law enforcement leading to an unreliable identification. The law in Colorado holds that one-to-one show-ups are “presumptively suggestive.” The suggestiveness of the show up procedure is addressed in the motion to suppress. The judge decides whether the identification procedure employed by the police was unnecessarily suggestive. If that is found to be true – then whether the identification itself has been tainted. As for the research on photo arrays and line-ups, ii shows that if the photographs are presented to possible eyewitnesses in a suggestive way, the identification of the defendant is suspect. Jury selection provides the best opportunity to educate the jury and the Court about the principles of the honestly-mistaken witness. It is a chance to explore the jury’s preconceived notions on perception and memory, and then to weed out jurors unwilling to accept new ideas of how perception and memory work. Questions here focus on whether – for example – the prospective juror believes that a witness can be honestly mistaken about an identification; understanding why a witness can have confidence in their ID while still being mistaken; can understand the mechanisms of the memory in that it “decays” over time; and how after-acquired knowledge and suggestion can influence a witness’s testimony. Cross examination is the single most powerful weapon in the criminal defense lawyer’s arsenal. However, when the witness has an honestly-mistaken belief – is not intentionally lying – cross examination is much less valuable. Cross-examination must be used carefully to educate the courtroom in the area of unintentional misidentification. A confident witness may be wrong but impeaching that witness during cross exam is nearly impossible. “[m]ost people, including eyewitnesses, are motivated by a desire to be correct, to be observant, and to avoid looking foolish. People want to give an answer, to be helpful, and many will do this at the risk of being incorrect. While the “helpful: witness is dangerous, other eyewitnesses are misled by suggestion, circumstance, and a poor police investigation that results in honest, but mistaken identification. The honestly mistaken witness under these conditions can still a likeable and sincere witness, and – at the same time, misled by law enforcement. “Cross” is an also an effective tool to aggressively attack the lack of training, training materials, and missing police department procedures to protect against misidentification. While it is difficult to persuade a judge to admit a memory expert at trial – it is worth the attempt. A memory expert – such as Professor Elizabeth Loftus – can educate the jury about the general scientific principles underlying memory and identification. Judge’s disallow expert testimony on identification and memory issues because they believe is within the “common knowledge” of the jury. If the experienced Colorado criminal defense lawyer can educate the trial judge with articles and affidavits written by the proposed expert, a judge in a given case, the judge may be persuaded, as a matter of the judge’s discretion, to permit the testimony at trial. The classic approach of the prosecutor – DA is to link the stated confidence of the eyewitness and the actual accuracy of the identification. The “indelible memory argument,” stands for the proposition that human memory works just like a video tape. The experienced criminal defense lawyer must use the speech making opportunity of the opening and closing argument to battle this well accepted – but erroneous – common assumption. This is done by introducing the science behind memory mechanics. The principles of perception and memory are poorly understood by the public. The typical criminal defense lawyer has not studied psychology, is not well-read in this area, and is likely to have some serious misconceptions of his or her own as to the mechanics of how human perception and memory actually work. For example, the experienced criminal defense lawyer – while studying the investigatory reports, should focus on the available information about the eyewitness’ perception. When a witness sees or hears an incident – the surrounding circumstances must be closely scrutinized. In studying the police investigation questions such as “was the witness overloaded by stress, or, the opposite “under-attentive?” The details of the case may suggest a bored witness – one that was are less attentive and less likely to notice unusual details. Or, on the other hand, the facts may support the assertion that, because of the sudden threat, the witness was disoriented and confused for those few critical moments. Instead of letting the prosecution argue that, in the middle of a dangerous situation, the witness focused on the face of the suspect memorizing it for all time, the truth should be told to the jury – that because of the danger to the witness, that person is actually less likely to notice the critical details of the case. Assumptions and biases impact all of us every day of our lives. We naturally “fill in ” details as we perceive what we expect to see, not what is actually there. If events do not fit one’s preconceptions we mentally re-write them to make sense of them. Thus the eyewitness will “unconsciously transpose” an acquaintance’s face onto a stranger with similar or familiar features. A right-handed witness assumes the suspect held a weapon in his right hand a left handed eyewitness, in the left hand. Cross racial identification is on of the most thoroughly researched area of misidentification. If the witness and the suspect were of different races, studies prove that the witness called upon to show that such witnesses are less able to accurately identify strangers of other races and much better at accurately identifying strangers of their own race. 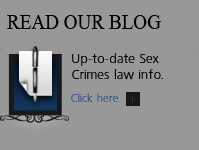 The Practical – Common Sense “Organic” Attacks On Eyewitness Identification Cases. 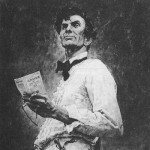 This os another of the most obvious of factors to be factored in… the famous Abraham Lincoln case where the country lawyer established that a midnight identification of the defendant (made from 150 feet away) was represented by the witness as having been possible because the night was “moon bright” was proven impossible by the young lawyer by the local almanac which showed the moon was hanging low in the sky that night. The experienced Colorado criminal defense lawyer should have an investigator go to the scene to either confirm or disprove the presence of working street lights or other illumination; to take pictures of the scene; and to check the natural lighting and weather conditions for the time and date of the crime. Distances follow along in the analysis of the most important of all questions to be asked in an “ID” case. Questions such as: how far was the witness from the incident? Is the estimate accurate as regards all other facts known about the case? Has the police investigator prepared a scale sketch of the scene? Does that sketch include the location of any and all physical evidence at the scene including the physical placement of the witnesses at the scene? The length of time a witness has to observe the suspect is almost always certain to be wrong. Lay witnesses almost always overestimate durations and the research supports this fact. Furthermore any delay between the incident and the “recording” of the perception and the making the identification also impacts the accuracy of the ID. Factors such as 911 calls, radio broadcasts, and police reports help to nail down the timing of the ID. The “time line” or chronological of the incident and the investigation also helps to flush out what the witnesses knew and when they knew it. Again – pretty obvious questions. At the time of the crime – what drew the witness’ attention – ehat was the witness watching? It is unlikely that if a weapon was used, the witness ignored the weapon and focused on the suspect’s face. The research again shows that eye witnesses focus on weapons to the exclusion of almost every other detail. All perception is linear. What we hear and see between the time of the incident and the time of the “recorded perception” is relevant. While the prosecution wants the witness’s memory to act as a videotape, it is NOT. Eye-witnesses unconsciously incorporate what has been called “after-acquired information” into their existing memory without being aware of such incorporation. The after acquired information makes thereafter constructs one “coherent narrative” that seems real to the eyewitness. Juries naturally assume that “trained” police officers are better observers than lay witnesses. Again this is not supported by the scientific research in this area. An experienced criminal defense lawyer should locate and use this research and being to “debunk” this common myth at every level of the trial. Attribution: This article is taken from the author’s experience of 30 years and an excellent paper written by Lisa Steele – a criminal defense lawyer from Boston, Massachusetts. If you want more information on the scientific basis underlying false identification – read this article by Professor Loftus. ABOUT THE AUTHOR: H. Michael Steinberg – Email The Author – A Denver Colorado Criminal Defense Lawyer – or call his office at 303-627-7777 during business hours – or call his cell if you cannot wait and need his immediate assistance – 720-220-2277. H. Michael Steinberg, is a Denver, Colorado criminal defense lawyer with over 30 years of day to day courtroom experience – specializing in Colorado Criminal Law along the Front Range. 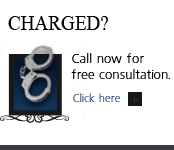 Call him if you have any questions about … Attacking The Mistaken Or Lying Eyewitness Identification Case.